Many organisations use two-way radios for quick, simple and reliable communications between their employees. But why continue to use them when mobile phones have become commonplace? For one thing, two-way radios are free at the point of use – there is no need to pay a network operator for each call made and they can’t be used for non-work-related calls, cutting down on often tedious and complicated discussions about expenses. Mass market mobile phones are not the most robust of devices, while two-way radios are built to last and can take the worst punishments that working environments dish out. There is also the matter of reliability. With two-way radio you are not dependent on the infrastructure owned and operated by cellular network providers, which quickly shuts down in the event of power cuts and can get congested during emergencies or major events. Combined with the lack of mobile network service fees and the greater resilience of devices, you can expect a lower total cost of ownership with two-way radios compared with consumer smartphones. There is also the matter of image. The use of smartphones by public-facing staff can appear less than professional in some settings, but when a user reaches for their two-way radio, it is clear they are going about their business, rather than checking Facebook on company time. Radios really come into their own when it comes to co-ordinating groups of users. While a mobile phone can be used for conference calls, this is a fiddly and time-consuming business compared with the group-call functions of modern radio, which allow one-to-many calls at the touch of a button. Two-way radios can also offer GPS, lone-worker, man-down and job-ticketing functions, allowing you to keep tabs on workers’ whereabouts, help them be more efficient, and ensure their safety. Finally, battery life is a big draw; many two-way radios are designed to meet the needs of users with long shifts. Convinced? If you decide to look into using radio, you will have to make some decisions. Typically, you will be doing so with the help of a local radio dealership, but it helps to have an idea of the fundamentals beforehand. The key factors to consider are: usage, coverage, security, resilience, location and budget. Let’s look at each in turn. Do you need the radios for everyday use or just for a short period? If the latter, radio hire is usually a better option than owning the radios outright. It is also worth noting that different sectors have their own requirements. For some in the theatre and broadcasting sectors (referred to in the radio industry as programme making and special events – PMSE), the slight delay that can occur with digital radios makes their analogue counterparts more popular. To what extent will your radios be used in adverse conditions? If you are looking to use them in the rain, you will want a higher environmental (IP) rating for your handsets than would normally be the case. If you plan to use them near potentially explosive or flammable materials, they will need to be ATEX-certified. Also consider how long your employees’ shifts are – you will need radios with batteries that can last for more than a full shift without charging. How big an area do you need to communicate over and what type of terrain is it? This matters a great deal when selecting a radio system. For short-range communications (same site, same building, line of sight), licence-free radios are powerful enough. Communicating further afield will mean powerful, licensed radios. Coverage over many miles requires a wide-area network. In this case you will be using an operator’s infrastructure and paying them a fee to do so. If you need national coverage, then PTT over Cellular (PoC) might be the best option (see below). Terrain matters too. “If you are operating in a rural area and you have a lot of fields, trees, woodland and so on, the digital codec might decide that the signal strength isn’t strong enough so the communication simply drops off,” says Ian Lockyer, marketing manager at Icom UK. “Analogue may be scratchy and noisy, but audio will still come through and you will still be able to communicate with the person at the other end.” As you approach the limit of an analogue radio’s range, audio quality will degrade, but with digital “it will just cut out when it has reached the limit of its distance”. Finally, when using radio in a large building with stone walls or modern materials, you may need a system that distributes the signal, such as radiating cable or distributed antenna system. In London there may be problems obtaining a radio licence due to the sheer popularity of business radio in the area. However, there are other options, such as radio over IP and PoC. Where you are in the country also affects your need for two-way radio and whether or not PoC is a viable option, because cellular coverage is still poor in some remote and rural areas of the UK. One of the crucial things to assess before making a decision is just how critical the use of the two-way radio system will be to your operations – or, to put it another way, the consequences (both financial and reputational) if it were to suddenly cease working (due to a power cut, for example). Consider how much downtime would be acceptable on an annual basis. Resilience and availability need to be clearly defined in any procurement and are properties that hinge more on ancillary equipment and how a system is implemented and installed, rather than the specific radio technology being used. For example, resilient/highly available systems typically have redundant components (such as base stations), and their own uninterruptible power supply (UPS) and/or batteries/power generators. For this reason, there is a natural trade-off between the cost of a system and its availability.The FCS has a five-level resilience assessment scheme to aid buyers when discussing this topic with suppliers. For business-critical purposes, licence-free won’t be an option as you will need legal protection from interference. One thing to consider is that if you hold the right to use some spectrum then you may want to get the most efficient use of it, which typically means using digital radio instead of analogue. Regarding a multi-site system, consider how they are connected. If you are depending on IP, having redundant internet connections (even down to the fibre leaving in different directions from your building/site to prevent them both potentially being severed by accident) makes a great deal of sense. Do you intend to use the radios to discuss confidential or sensitive matters? If so, use a system with encryption to thwart eavesdroppers. This is a particular concern for schools and other organisations that are responsible for the welfare of vulnerable individuals. It is worth bearing in mind that you will want some form of ongoing software/firmware support, so it makes sense to do some future-proofing by opting for a relatively modern system. If you are on a tight budget or just looking to get a feel for the potential benefits of radio, licence-free (PMR446) radios may be a good option at first, combined with simple analogue technology to keep the costs down. It may be worth hiring the radios on a short-term basis to see if they meet your requirements before you commit. Like any other asset, two-way radios need to be maintained if they are to stay in good condition. Due to advances in technology, radios are less demanding in this regard than they once were, which means many businesses rely on their local dealership for ongoing support, rather than having in-house expertise. Are you looking to issue the radios to your staff (personal issue) or keep a pool of radios to be signed out when needed? There are pros and cons with both approaches. Personal issue can mean less confusion and tends to result in the handsets being better cared for. On the other hand, it is more expensive and may not suit operations where many employees work a small number of shifts. Don’t forget to do your research beforehand. As with any investment, you must make the business case for it and get management buy-in. When putting your case together it is best to start with incidents when your current means of communication have proven inadequate and that resulted in either costly downtime or were handled in a manner that led to customer dissatisfaction or a threat to business-as-usual. Come up with realistic estimates of how much money a radio system might be able to save your business, and once you have a couple of quotes, calculate the potential return on investment. Also, make sure you ask potential suppliers if there are any ways two-way radios can create benefits for your business beyond providing voice communications. For example, many hotels integrate two-way radios with their alarm systems so they can quickly respond to them and determine whether or not it’s a false alarm before they have to call for the building to be evacuated. The radio market is a competitive one – turn this to your advantage and make sure you get quotes from multiple dealers. When comparing quotes and discussing matters with radio dealerships, consider the level of after-sales service they provide and whether it is a good match for how much expertise you have or want to develop in-house. Important questions to ask include: will they provide training? How much technical support will you receive? And, will they handle dealings with Ofcom? Bear in mind though that if you are looking to buy a system for business-critical use, you may well need a dealer close enough to be able to quickly dash over to fix any issues – though it is possible for them to monitor some systems remotely. Look at the suppliers and systems used by your peers. That will give you a feel for the type of system you should be looking for. Our Who, What, Where section often covers recent two-way radio deployments, and case studies can be found on dealerships’ websites. We also regularly publish features thatlook at the use of radio by a particular sector. With this in mind, it is a good idea to get a site visit from a radio dealer so they can identify any potential coverage issues before providing a quote. Larger, more complex sites – particularly those where the radio system will be used for business-critical purposes or by the emergency services – will require thorough coverage modelling. Not everyone in the two-way radio industry is competent or ethical. Look for companies that can provide testimonies from satisfied customers and, if possible, ask to see examples of their previous installations. 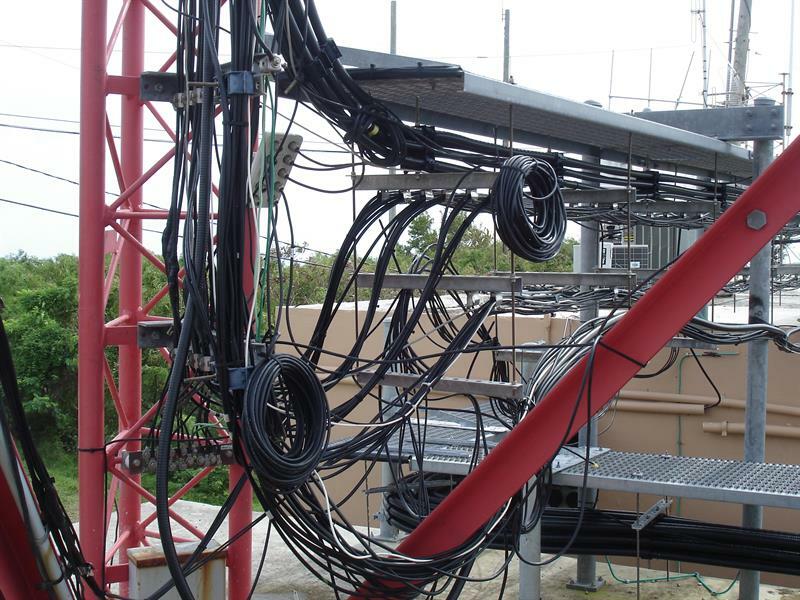 Tim Cull, head of business radio at the Federation of Communication Services (FCS), gives a good rule of thumb: “If the thing looks like a mess, the chances are it is a mess.” Look out for advice from the FCS on what to consider when purchasing a radio system, and look for engineers who are FCS 1331-accredited. Failing to stick to the conditions of your radio licence is a serious matter and could lead to prosecution for a breach of Section 8 of the 2006 Wireless Telegraphy Act, so it is essential that you familiarise yourself with the legislation. That said, keeping on the right side of Ofcom and the law is largely a case of common sense. For example, when experiencing coverage issues, any changes made to your system to address these must not contravene the conditions of your licence. If you do experience interference then consider reporting the matter to Ofcom. Simply speaking, PTT over Cellular (PoC) refers to an application that allows a smartphone (preferably a ruggedised one with a dedicated push-to-talk button) to duplicate many of the functions of a two-way radio, including short call set-up times and one-to-many talkgroup-based communication, along with instant messaging and dispatching functions. As already mentioned, PoC solutions are particularly well suited for users requiring national coverage or those who can’t obtain the spectrum they would need for their own two-way radio system. Given that it runs over commercial cellular networks, you won’t have the same level of control over resiliency as you would with your own two-way radio system, and will have to pay for the mobile data you use. PoC services can either be hosted locally or in the cloud. If it’s the latter, understand where the servers are located and what should happen if both primary and secondary services were to fail (as highlighted by iPTT in its recent blog). Looking to know more? See our articles on procuring PoC and PoC platforms for more details. Trunking enables users to share a pool of channels, which are allocated to them as and when they are required. This enables each channel (and its spectrum) to be used more efficiently, allowing more users to be supported per channel (trunking gain). Should a channel be lost, it just results in a drop in capacity and potentially longer wait times when busy, whereas in a non-trunked system, users of the affected channel would be unable to communicate with each other. However, a trunked system typically uses at least one control channel to co-ordinate itself (temporarily allocating channels to users and transmitting data). Most businesses’ radio use is relatively small and may not justify a private trunking system, but they could subscribe to a common base station (also called community repeater) operated by a service provider that can also support other organisations in the area on the same system. This could be just a single-channel repeater or a multichannel system that uses a trunking controller to manage and assign channels. When larger systems with three or more transmitters are linked together to form a regional or national network, the service is called public access mobile radio (PAMR). See this article for more on using shared radio networks. This kind of approach can be a good low-cost option for beginners, as you benefit from greater coverage, the costs are split between multiple customers, and the system is managed by the provider. So, you have hired or purchased a radio system. What next? You must think carefully about who needs to talk to whom and which channel each group should be on. If operating a trunked system, make sure you have arranged the talk groups in a logical way. Using radio is essentially straightforward, just push and hold the push-to-talk (PTT) button, wait a few seconds and speak, then let go. It is important to let go as soon as you’ve finished because failing to do so ties up the channel and drains the batteries. The real art is in learning to speak as concisely and clearly as possible. This prevents channels being clogged up unnecessarily and is essential during emergencies as time can be lost through misunderstandings. At the same time, remember that the more useful information you can give, the better decisions your colleagues will make, and the easier it is for them to act. Enquire about radio training when speaking to a dealership. Also consider who in your organisation might already have some radio experience, such as armed forces reservists, ex-military or ex-emergency services personnel, licensed pilots, amateur radio enthusiasts or even former cadets. For situations that occur frequently and require the same response, consider creating your own phrases, particularly if you need to describe something sensitive while in earshot of members of the public. • Always give your call sign at the start of a transmission and state whom it is for, eg, “Jason, this is Sarah, over”. The word ‘over’ indicates that you have finished talking and expect a response. If you receive a call addressed to you, respond with “go ahead” to show you are listening. • Don’t interrupt other people’s conversations. • Don’t transmit sensitive/confidential information unless you are certain your transmissions are secure. • Always try to speak in short sentences with the minimum number of words. Hopefully this has given you plenty of food for thought. All that remains is for us to wish you every success with your exploration of two-way radio. Look out for our next issue, where I’ll be discussing some of these topics in more detail.